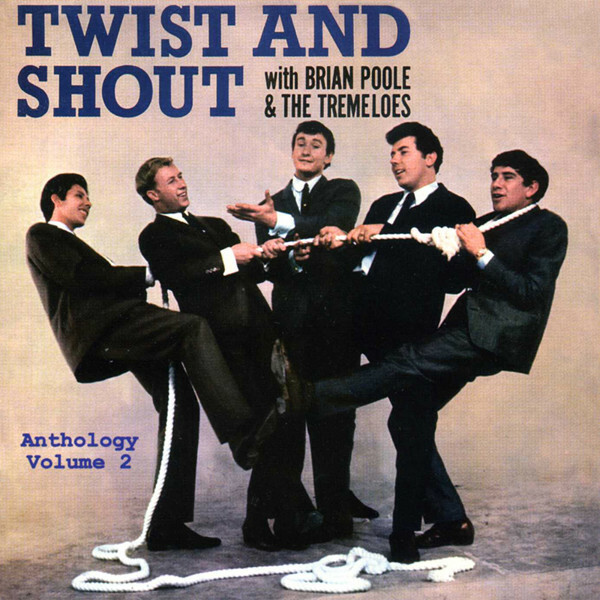 "Brian Poole & The Tremeloes"
Brian Poole formed the Tremeloes in 1959 in Dagenham, Essex. A competent group, they turned professional after the first of many regular appearances on the leading British radio show, Saturday Club. Their speciality was other peo-ple's hits — they even recorded an album, Big Hits Of '62, fog Ace of Clubs. However, their fortunes turned with the beat boom when, despite an anachronistic appearance and ap-proach, they covered the popular Beatles' album track, `Twist And Shout', in summer 1963. It was the first of six Top Twenty hits, including `Do You Love Me', a No. 1. Poole's chart reign lasted only as long as the unqualified group fever, barely into 1965. In 1966, he left the Tremeloes (who continued successfully without him) for an abortive solo career and today follows his original chosen occupation, the family butcher's shop. Kundenbewertungen für "Twist & Shout - Anthology Vol.2"